Complexity, globalization and digitalization are just some of the elements at play in the risk landscape—and data is becoming a core part of understanding and navigating risk. The Enterprise Risk & Strategy Disconnect—Finance leaders say there's a missing link between risk and strategy. The Risks of the Use and Misuse of Data—Up to 50% of the data used to manage modern risk is disconnected. Only 15% of leaders are confident about the quality of their data. Risky Relationships—Only 20% of finance leaders say the data they use to manage risk is fully integrated and shared. 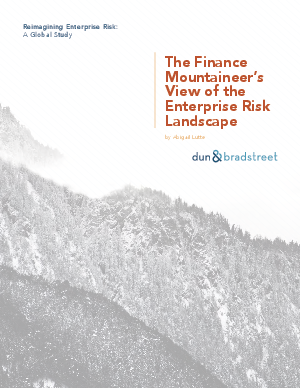 Download the study to learn how finance leaders are approaching data and enterprise risk management.